The Grand International Buffet on Hwy 6 & 50 is the third known restaurant on the western slope to recently become a victim of a group of thieves that are targeting Asian restaurants. All three thefts occurred on the same day, November 16, 2014, within hours of each other, and occurred in Fruita, Grand Junction and Glenwood Springs. In each case the group walks into the restaurant and ask the front desk employee about accommodating a large group of approximately 14-15 people for a birthday meal. While the employees are attempting to accommodate the group, one or two of the suspects go into the restaurant office area and take wallets, cash and credit cards belonging to employees and the restaurants. In the surveillance video of the Grand Junction theft a woman can also be seen going through items behind the front counter. 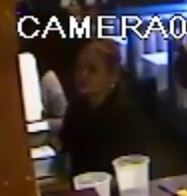 Once the theft is completed, they quickly leave the restaurant as a group. If you have any information about these suspects please contact our non-emergency dispatch number at 970-242-6707 or contact Crime Stoppers by calling 970-241-7867 or online at 241STOP.com. SUSPECT DESCRIPTIONS: There are 4-5 suspects in this group, typically one male and four females. 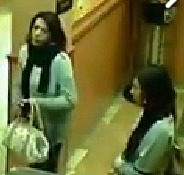 All four females appear to be Hispanic and the male appears to be white. This entry was posted in GJPD News and tagged asian restaurant, restaurant theft, theft, theft group.